I´m very happy to make this post, because I worked a lot in this post. (*＾ワ＾*) And because this is my first cushion product. This is the ETUDE HOUSE Precious Mineral Magic Any Cushion (~‾⌣‾)~ Etude House is one of my favorite Korean brands and I really like it this brand. The cushion products are very popular because are very easy to carry and is very practical too. This product is sponsored by Jolse by all the opinions on this review are based on my own experience. Side of Box~ Directions, Caution & Ingredients! ♔ Packaging: First is a pink box with a pretty front with a lovely frame that says the name of product and brand. After is a soft pink compact that looks like a powder outside, and inside of course is the cushion, the product itself has a mirror and is very useful to apply out of house or office. Another cap~ I love it this because is more higyenic. ♔ Price + Quantity: Is around $15 and $20 on eBay. But the exactly price on Jolse is about $15.98 without shipping included so the price is a bit pricey because this product only has 15 grams and that quantity is the less of half of many full size product, basically this has the quantity of a sample product so to me in this point is not a rentable product. ♔ Aroma: This smells like moisturizing cream but very softly and a bit chemical to me. Very sofly but this is how I can descrbe the aroma of this product. ♔ Color + Formula: The color is like a white pink or like a very pale white pink and the formula to me is like a fluid cream or more like foundation and is very mousturizing this is different to a BB Cream the formula remember to me like Baby Choux Base Pink because is more like a foundation but a very sheer foundation. ῍̻̩✧(´͈ ૢᐜ `͈ૢ)˖῍̻̩ This is a video review + demo of ETUDE HOUSE Precious Mineral Magic Any Cushion Pink and you can see the different after apply this product. (／・ω・)／ Please support my video review. - This is perfect to carry on my makeup bag. - The coverage is sheer and good for a natural finish. - The formula is lightweight. - It has a pleasant fragrance. - On many countries you only can buy online (including me). - This doesn´t have a control of sebum and is very moisturizing for oily skin. I have to say that this product has a good product for cold days because is very moisturizing but I think this is more suitable for dry skin. This is it much moisturizing for my oily skin. Another thing is if you want a bright and fresh face this can be a product for you because improve the complexion. The coverage is very sheer, so if you need cover any imperfection this is not for you because this doesn't cover nothing. But I think this is good because has sunscreen and helps to improve the complexion. If you want a more flawless skin after make your makeup use this product. And if you have oily skin please don´t use this product, I have very oily skin and this is too much moisturizing and like consencuent my skin produces more sebum and is very annoying. Another point is that this product is a bit pricey because I can buy a good BB with three time more quantity with the same price. (๑ᴖ◡ᴖ๑) This is practical if you need save time and you don´t want carry on your makeup bag BB Cream or foundation and a brush. The formula can be improve but the concept is very nice. This can be a great product for dry skin because the moisturizing is excellent. In many parts of the world is already summer and in other places like here is a mixture of spring with summer, in this transition we all want to opt for the best look, because every girl wants to have the perfect look with the perfect shoes in this year, so today I'm going to talk a bit about Spring Summer 2014 Shoe Fashion Trends. Something that is a bit complicated to buy shoes trend at low prices or a little more accessible and always ended up spending much more than we imagined. And for that we have the amazing coupons that make our life or our buy something much cheaper. Now I want to introduce you to a store called FP6 and this store has great deals on ount of spring and summer shoes and many other products like clothes, accessories and more recognized brands at affordable prices. And the good thing about this store is that offers a series of discount coupons (personally help us with our budget). If you are a person that likes to buy I invite you to use 6PM coupons 2014 make intelligent purchases. I love it buy shoes, shoes are something that for a woman and some men never are too. I love to have several pairs of shoes and it never hurts to have a few pairs of shoes of certain designers, but sometimes you have to know how to buy designer shoes, so I invite you to read Tips on Buying Designer Shoes. You'll find tips on how to manage your budget, also how to properly select the right type of footwear. 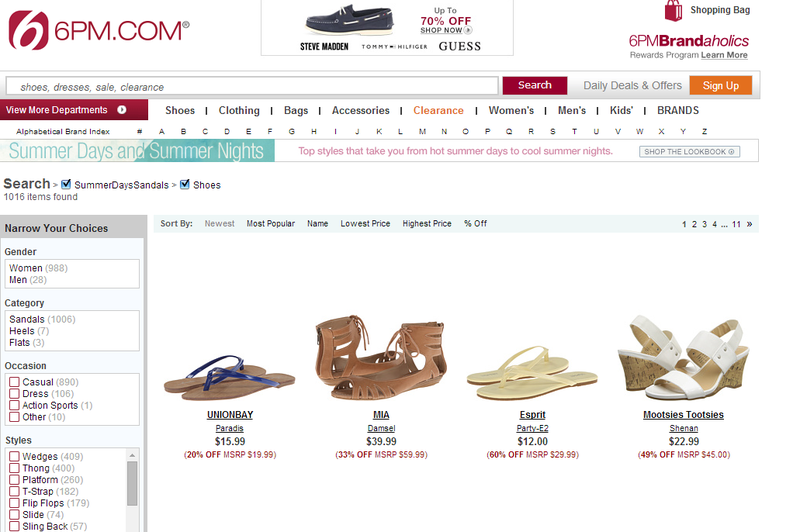 In addition as finding the right discounts, something I find quite useful if you're buying designer shoes. I hope this can be useful to you, and this can be a very informative post. I´m very happy to be here writing this post for you, because I love it make reviews. And this product is absolutely good so is good invest my time making or talking about a good. product. I did a very short video review about this product on my youtube channel you can see that review here. (´｡･v･｡｀) I love it this pics of this review, but well, this product is sponsored by Jolse but all the opinions are based on my own experience with this product. This product this toner is called Etude House AC Clinic Daily Toner and well is designed for sensitive a skin and I have sensitive skin. Back Side~ All is Korean. Close-up Left Side~ Directions & Caution! ↪ Price and Quantity: This product has 150 ml is enough for three or four months using daily, and well the price is $15.88 in Jolse to me the price is good because has more of 100 ml. To me the price is in between the range of cheap and a bit pricey, and this still is a cheap toner because I was checking other toners from the same brand and others brands for that quantity the price is over $20 without shipping included. Close-up Left Side / / Ingredients! ↪ Packaging: First we have a green box with in front the name of product, with a pretty nurse and the name of brand and the bottle is with the same design, the box in the left side has the Directios, Ingredients & Cautions in English~ The bottle doesn´t has any on English. The bottle is of glass and is not easy to carry on my skincare bag or in any place because first: is heavy, second I have the fear to break it easily. But well the only pro about be a glass bottle is that I can see the quantity of product that I have. ↪ Fragrance: This smells like crushed plants, yes just like that, is the best way to describe how this smells but supposedly this have the extracts of a plant called Hinoki and I think is for that, but I have to research after smell the ingredients because was a defined smell to crushed plants. - It´s excellent for oily skin. - Help to improve the oiy skin. - Is very soft and doesn´t irritate my skin. - This smells like crushed plants. - Provides a deep cleansing to my pores. - And helps to maintaince my skin without sebum for several hours. - The bottle is of glass and a bit heavy. I have many good things say about this product: First is excellent for oily skin like mine. (*ﾟ▽ﾟ*)'･*: Second is a toner very soft, I'm impressed because I have a bad experience before with a toner of Etude House my first toner was the ETUDE HOUSE Wonder Pore Freshner and well I think that toner was very harsh for my skin. (´;ω;`)♡ I was worried for use this toner. But after two weeks this product helped me to improve the sebum of my skin. This toner cleans very good the pores and has a soft fragrance. I want talk about a personal experience this week, I started the college and was a full stress, and well, I had few pimples and was like, OmG seriously? （≧∇≦） And I started to apply this just on the zones with pinples more careful and well today is Sunday and my skin looks without scars (and the friday I had scars) (￣▽￣) Now I can say this toner is amazing~ I recommend this product to 100% because usually the scars don´t go out of my skin if not after a week. And the only different product on my skin care routine is this new toner. I love it and I want purchase. (∗ ˊωˋ ∗)◞ ⁾⁾ Thank you for you comments! 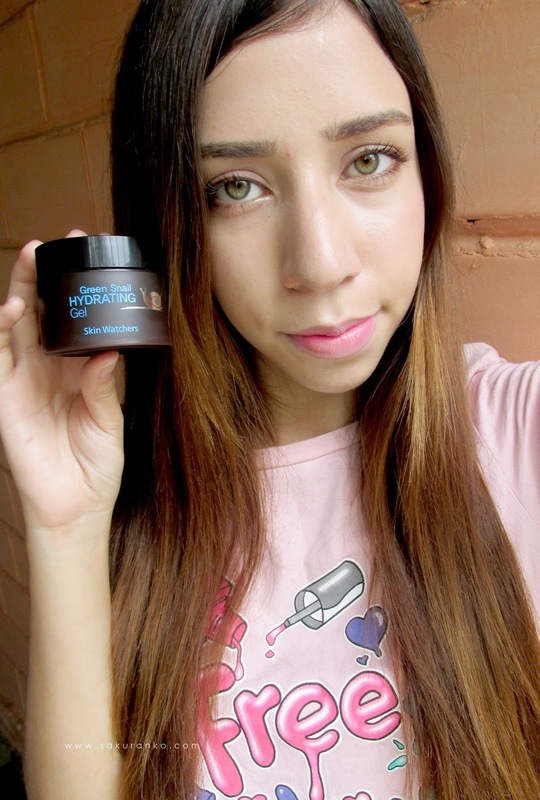 This is my new review about skin care, I receive this product some weeks ago but I think I can´t write a review about an skincare product without use for over two weeks. I change my regular cream of day for this product. I'm very impressed with the quality of this product. This is my first product from the Korean Brand: Skin Watchers and I want try a product that suits with my type of skin. (*´・ｖ・) So I choose try a gel because normally the gels are better for the oily skin like mine, than the creams. This product is sponsored by the store Jolse but all the opinions are based on my own experience with this product. Right Side (´ω｀★)"How to use"
✓ Packaging: First we have a brown box with a top on blue has a cute and minimalist illustration on the top. After is a jar brown looks like the box with a snail is easy to carry is of plastic so I like it is simple nothing cute but I like it. ✓ Price & Quantity: The price is $15.98 on the store Jolse without shipping included. But the shipping is very cheap in Jolse so you can buy this product perfectly. The quantity is very good to me because this product has 50 ml. So I think I can use this product for several months. ✓ Texture + Fragrance: Is a gel and moisture very deep the skin and the same time it´s absorbed very fast onto my skin. Can be sound weird but this smells like cologne for men is the first thing tha comes to my mind when I smell this product. *(*´∀｀*)☆ And of course the texture of this amazing gel! - The moisturizing is deep but fresh. - It has a nice scent. - Is easy to carry on my skincare bag because the jar is small for the quantity. - It's absorbed on my skin very quickly. - This is perfect for oily skin. - This product is lightweight. - Free Parabens, Alcohol, Paraffin, Talc, Phenoxyethanol, Benzophenone and Mineral Oil.